Feeling especially naughty or nice? Night of 1,000 Santas is for you! Join the Night of a Thousand Santas. What is it??…. 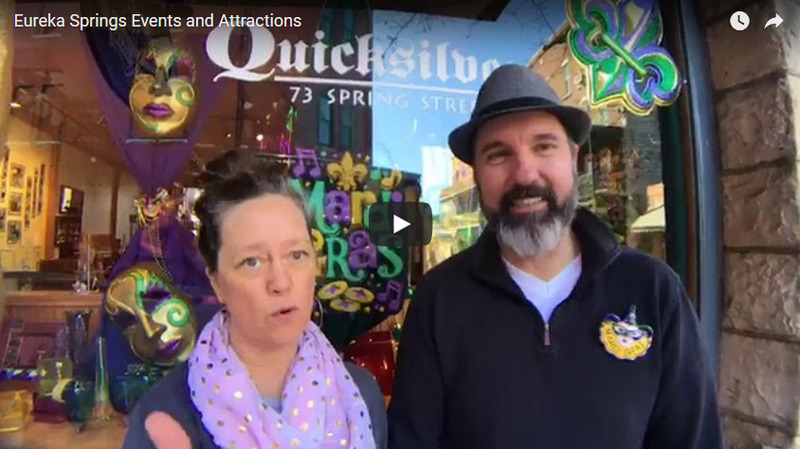 A Selfie and ActionBound Scavenger Hunt that drops you into the bar scene in downtown Eureka Springs. Come dressed as Santa or Krampus and stroll with the group from location to location – Making merry along the way! Scavenger hunt and prizes at each location with a grand prize of a trip to Eureka Springs! Join the Night of a Thousand Santas. What is it??…. A deconstructed pub crawl and ActionBound Scavenger Hunt that drops you into the bar scene in downtown Eureka Springs. Wrist Band gets you past all the cover charges and provides FREE entry to see Earl and Them at Chelsea’s. Come play and you might win a trip back to Eureka Springs!